Our rich and creamy chocolate fudge, topped with colorful chocolate candy eggs. A fun treat easy to cut and share! 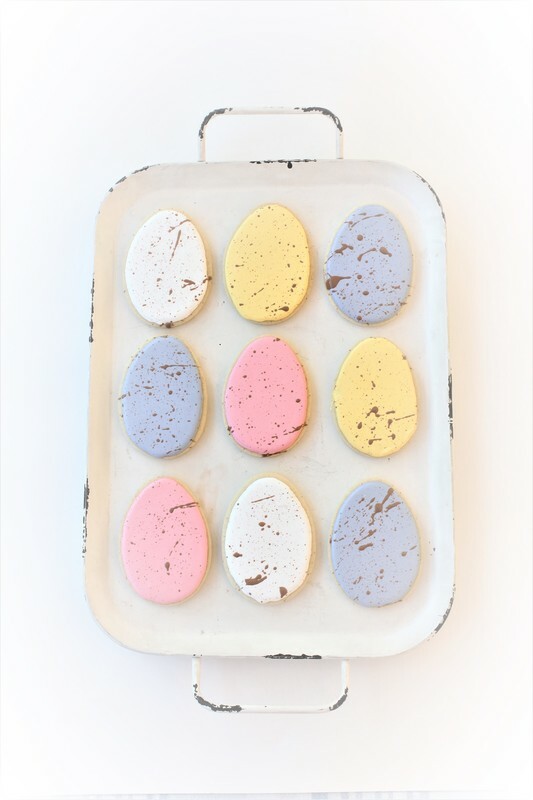 Our tasty sugar cookie dough, cut into egg-shaped cookies, iced in pastel blue, yellow, red and white icing and topped with icing speckles. Inspired by the delicious chocolate candy eggs. 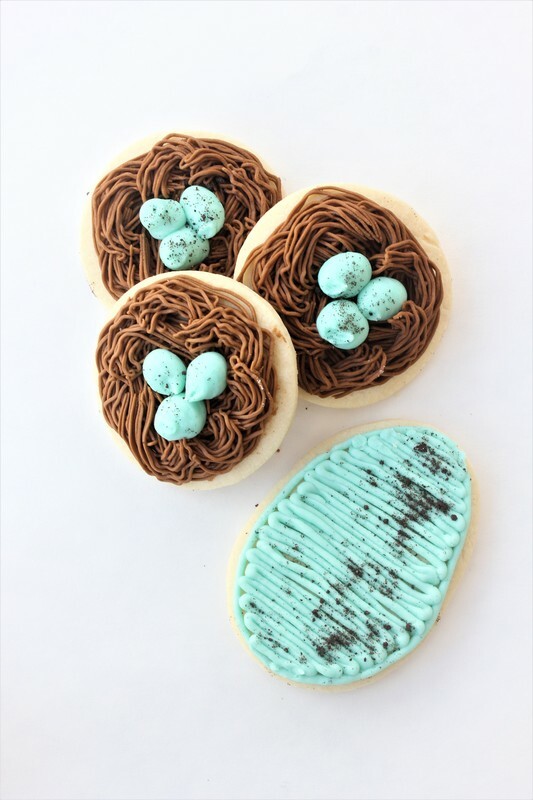 Our tasty sugar cookie dough, piped with our creamy buttercream into these sweet nest and speckled egg designs. Our tasty sugar cookie dough, cut into cute bunny shaped cookies, iced and decorated to create this adorable hand-painted bunny! A light and buttery, spiced yeast dough with or without raisins, formed into balls, baked to perfection and topped with a buttercream cross.